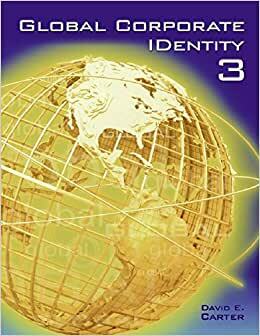 Global Corporate Identity 3 is the third edition in a series offering some of the best international corporate identity in current use today. Designing for clients who conduct business on an international level isn't nearly the rare event it once was. Due in large part to the ease of internet communication, even small firms and freelance designers have this opportunity more than they ever have, so being exposed to ideas, themes, and design executions that cross cultural lines is invaluable. Global Corporate Identity 3 showcases hundreds of superlative examples of design used on a multinational level. Work from 30 different countries and five continents is represented in this book making it a welcome addition to any graphics reference library. A noted authority on the subjects of graphic design, logo design, and corporate branding, David E. Carter has produced over 100 best-selling books in those fields, including The Big Book of Logos, The Big Book of New Design Ideas, and The Big Book of Business Cards. He is currently working on several new corporate identity books. This book is really global, gathering creative artwork from all over the globe, bits and pieces from all over the world. Its a true corporate identity and branding designer / conceptualist guideline. Lots of ideas are stacked in this book. I personally have 2 editions or copies, one for Beirut office and one for Dubai Office. It is a true must have book, a necessity in every art director, graphic designer, and creative individual's library, a real guide to logo and identity design. Well, I must say I am very disappointed with this book. The way things are ordered in it, is very bad, with a lots of incomplete examples about corporate identity designs. The design examples, are very poor and they don't reflect the good and modern graphic design nowadays. Don't waste your money and time on this book. Please take a good look at your street, I'm sure you will find there better graphic design examples.